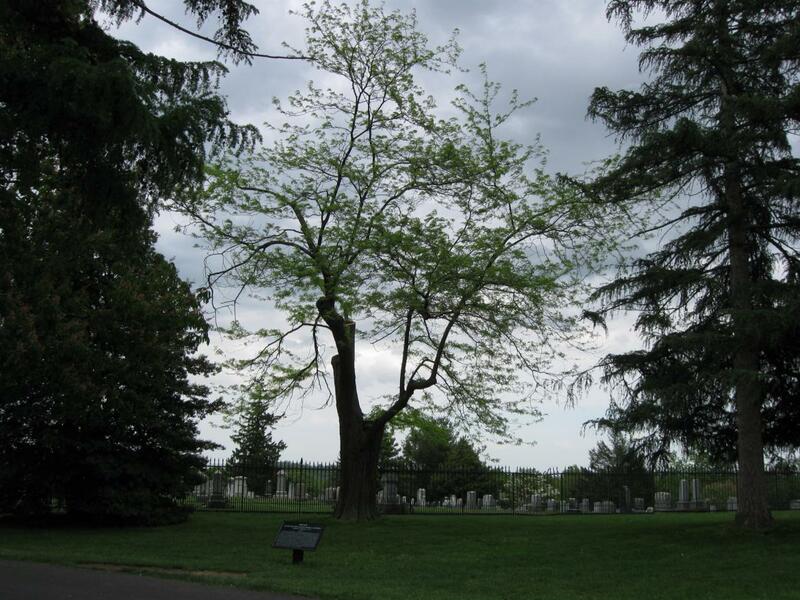 The Gettysburg Witness Tree (Honey Locust Tree) in the Gettysburg National Cemetery is showing its leaves once again this year. The National Park Service decision to allow the tree to remain after it was damaged by heavy winds during a storm appears to be the correct decision. This view was taken facing east at approximately 4:00 PM on Saturday, May 9, 2009. 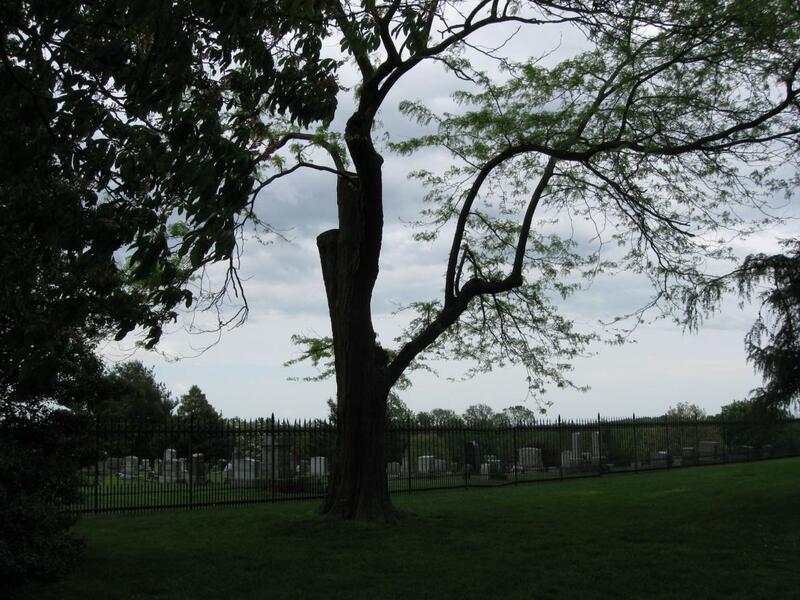 The Gettysburg Witness Tree damaged in the National Cemetery on August 7, 2008 by strong winds during a storm is still standing and is showing its leaves again this spring. 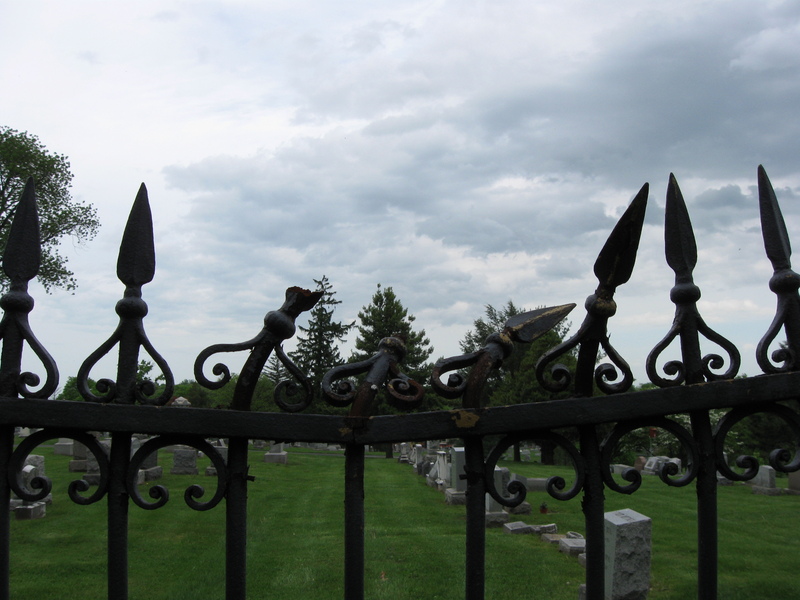 The iron fence separating the Gettysburg National Cemetery from Evergreen Cemetery (local civilian cemetery) that was damaged when the tree fell upon is in the process of being repaired. 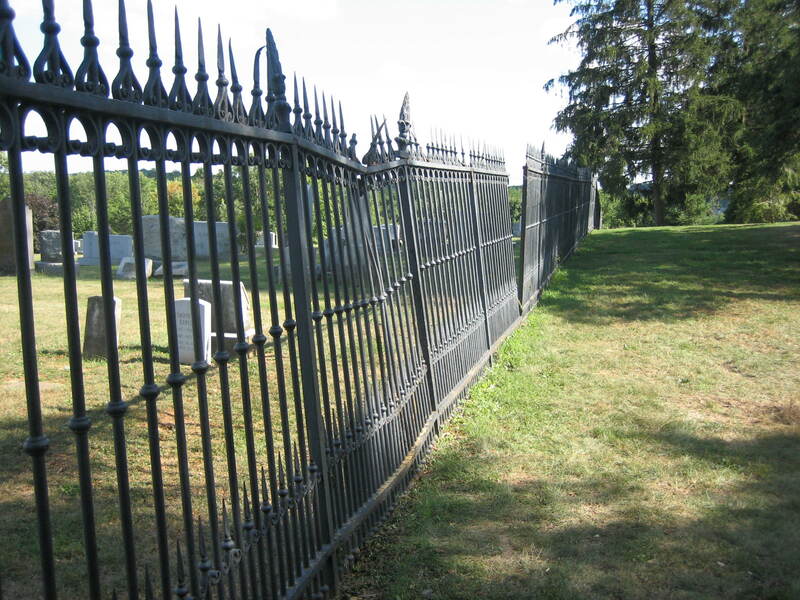 This fence is known as the “Sickles’ Fence” near which Sickles murdered Philip Barton Key in 1859 and was acquitted of the murder by temporary insanity. 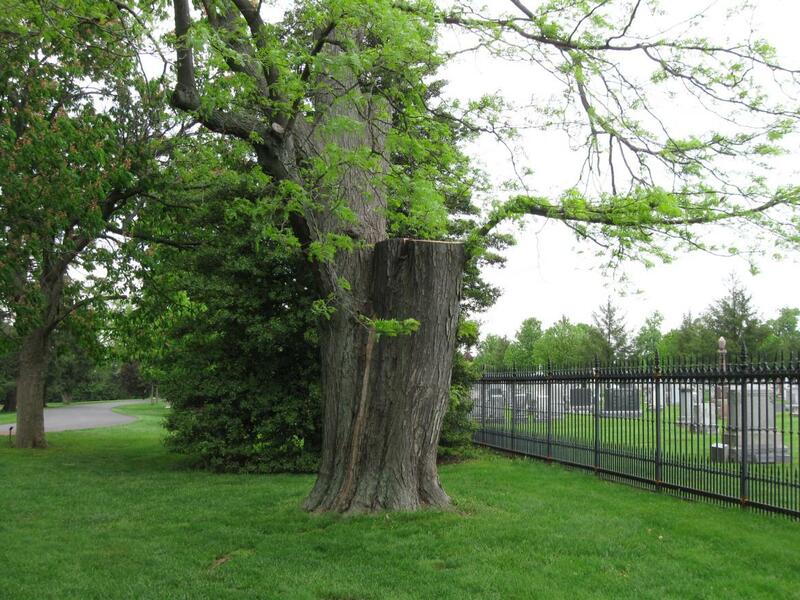 Gettysburg Witness Tree Damaged in National Cemetery on August 10, 2008. 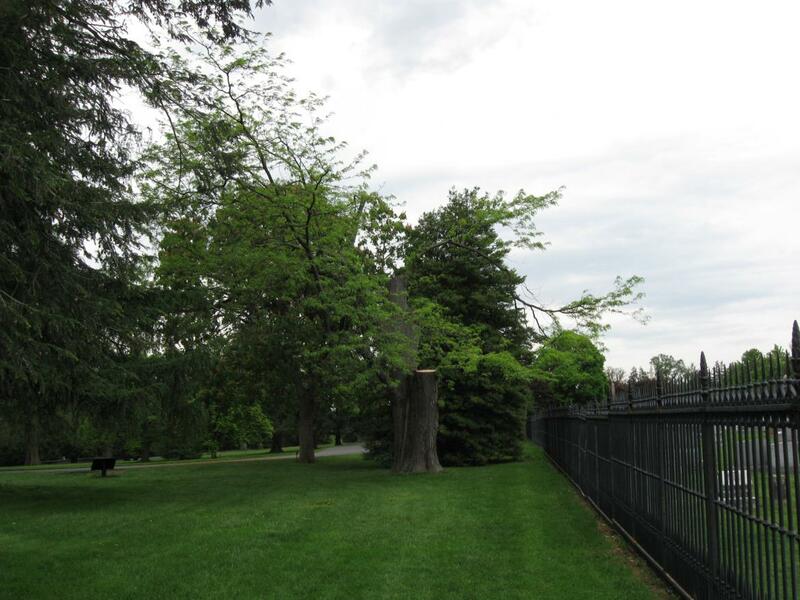 Gettysburg Witness Tree Damage Update: Sickles “Witness Fence” Damaged on August 12, 2008. 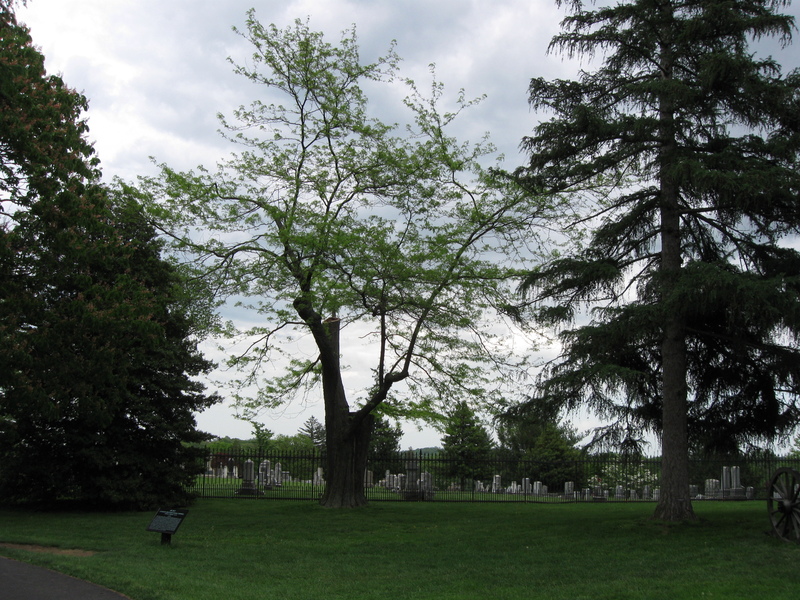 When entering the Soldiers’ National Cemetery from the Taneytown Road entrance, the Honey Locust tree is straight ahead where the curve in the driveway begins. The brick rostrum on the left was constructed circa 1879. This view was taken facing east at approximately 4:00 PM on Saturday, May 9, 2009. President Abraham Lincoln rode past this tree when he entered and left the cemetery area for the dedication ceremonies on November 19, 1863. He gave his Gettysburg Address approximately 300 yards to the left (northeast). The tree was taller before the August, 2008 storm, but it was also wider. This view was taken facing southeast at approximately 4:00 PM on Saturday, May 9, 2009. 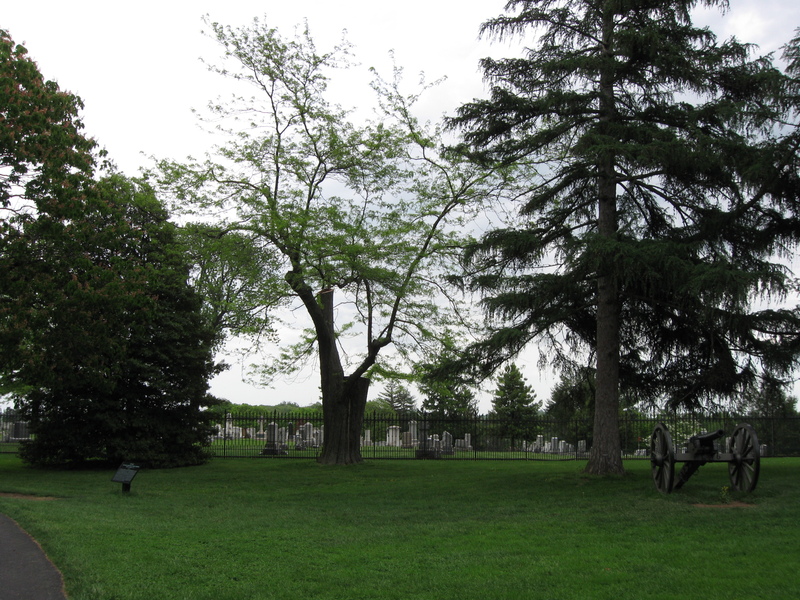 The National Park Service estimated that 70% of the tree was lost, mostly from the trunk that was on the right (southeast) side of the tree. This view was taken facing north at approximately 4:00 PM on Saturday, May 9, 2009. The National Park Service donated wood from the Honey Locust’s storm damage to the park’s non-profit partner, the Gettysburg Foundation. The Friends of the National Parks at Gettysburg website states that the Foundation was exploring ways to use the wood to raise money for Gettysburg battlefield preservation, but we are unaware of what plans they developed. This view was taken facing northeast at approximately 4:00 PM on Saturday, May 9, 2009. When the top of the tree fell, it damaged the black iron fence on the right, as far as 40 feet away from the tree. This view was taken facing north at approximately 4:00 PM on Saturday, May 9, 2009. The fence divides the Soldiers National Cemetery from the civilian Evergreen Cemetery on the other (east) side. This view was taken facing northeast at approximately 4:00 PM on Saturday, May 9, 2009. Sections of the fence were separated from each other after the tree fell on the fence. This view was taken facing south at approximately 4:30 PM on Tuesday, August 12, 2008. The National Park Service attempted to hold this section of the fence in place with wire. This view was taken facing southeast at approximately 4:30 PM on Tuesday, August 12, 2008. The sections have now been welded back in place. This view was taken facing south at approximately 4:00 PM on Saturday, May 9, 2009. At the top of the fence, there is still work to be done. This view was taken facing southeast at approximately 4:00 PM on Saturday, May 9, 2009. The ornamental “spear points” at the top in this section have still not been repaired. This fence was originally located in Lafayette Park in Washington, D.C. across the street from the White House. 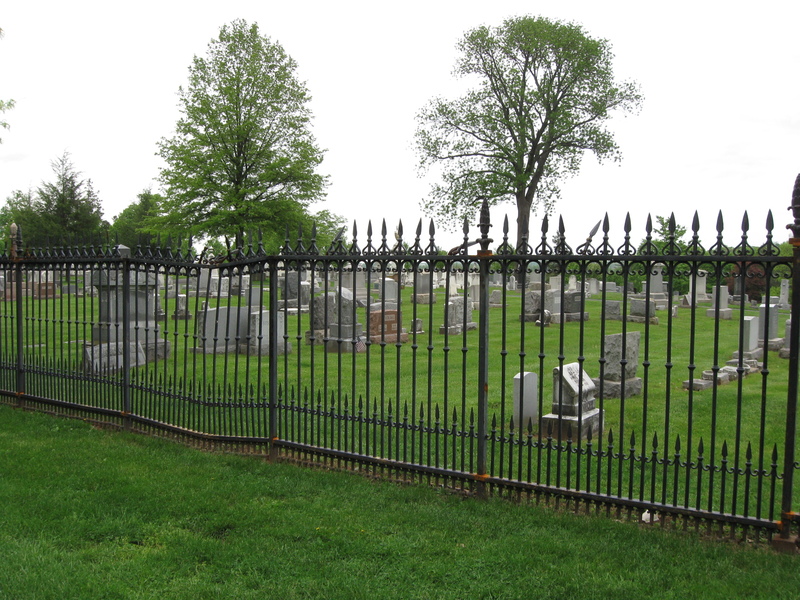 Near this fence, in 1859, Congressman Daniel Sickles murdered Philip Barton Key, the son of Francis Scott Key, for having an affair with Sickles’ wife, Theresa. This view was taken facing east at approximately 4:00 PM on Saturday, May 9, 2009. Sickles was acquitted of the murder. The Lafayette Park or Lafayette Square iron fence (Sickles’ Fence) was donated to the Gettysburg Battlefield Memorial Association by a joint resolution of Congress on October 12, 1888 through the efforts of Congressman Daniel Sickles. The District of Columbia for some reason declared the fence was no longer needed, and Sickles urged Congress to pass the resolution. 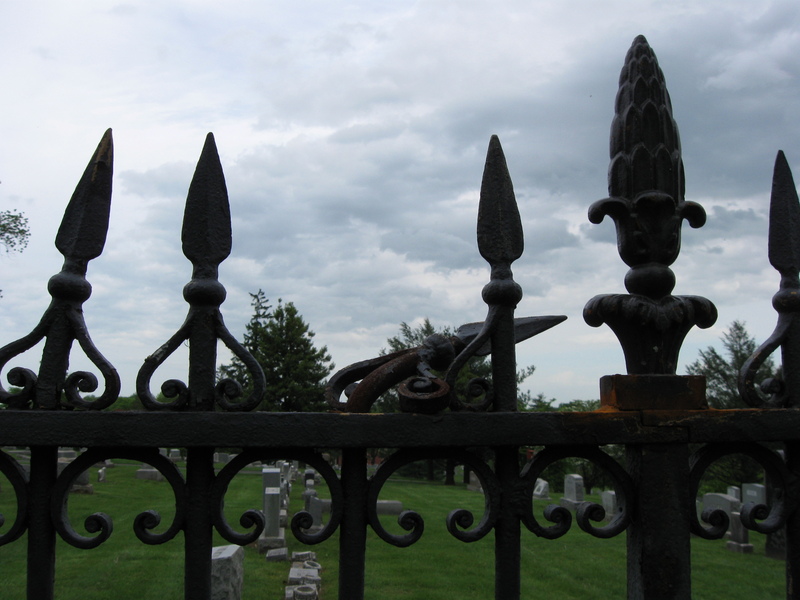 The legend states that Sickles wanted the fence on display at Gettysburg so that he could “show the world how I got away with murder.” This view was taken facing southeast at approximately 4:00 PM on Saturday, May 9, 2009. 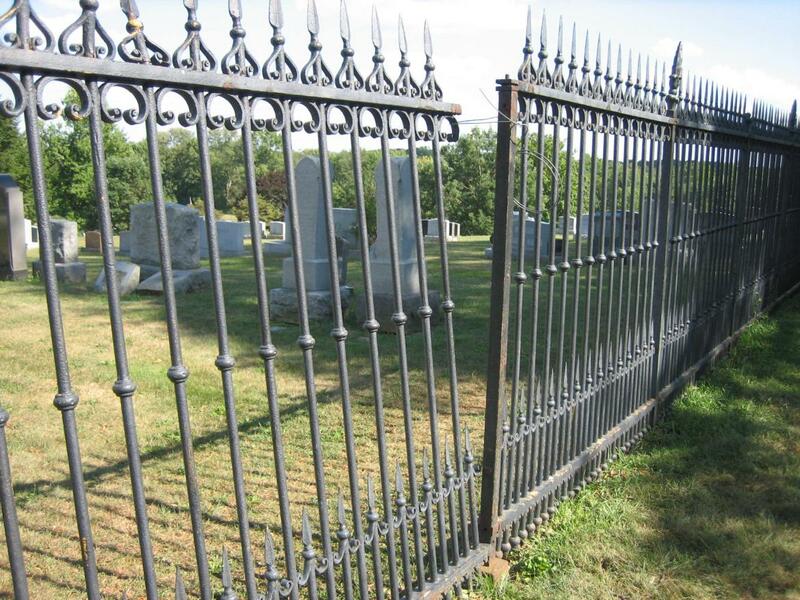 This was not the original fence that separated the cemeteries. 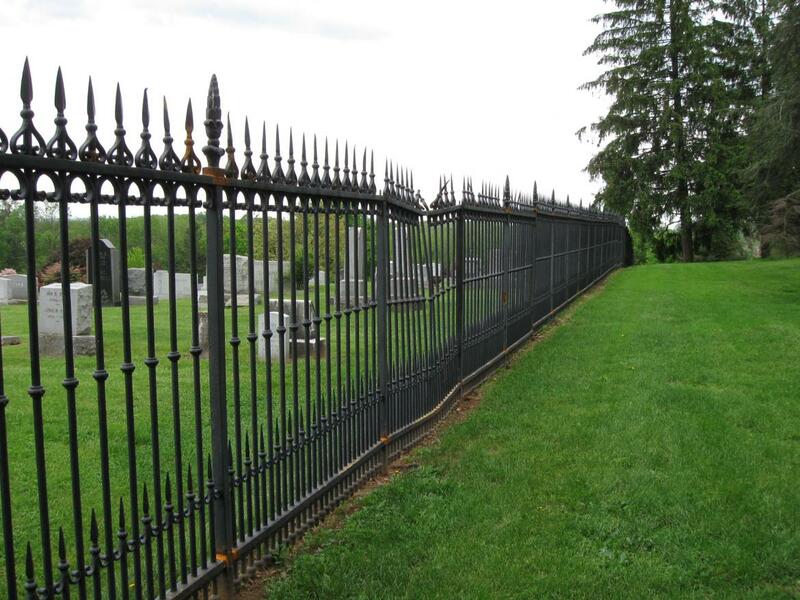 The original fence was an “old gas-pipe fence” that was considered ‘neither artistic in character nor valuable from a utilitarian viewpoint,’ according to Louis King’s history of the National Cemetery. The Lafayette Park/Sickles’ fence was first located on East Cemetery Hill in April, 1890. According to the Gettysburg Battlefield Memorial Association minutes, on July 12, 1889 the group resolved that “so much of the iron fence, donated by the U. S. Government, be used as is necessary to enclose the front of East Cemetery Hill to Slocum Avenue, and by said avenue to the turn to Culp’s Hill, and that it be erected unpainted, in granite blocks, and according to the lay of the land, the contractor to furnish any castings that are necessary.” This view was taken facing east at approximately 4:00 PM on Saturday, May 9, 2009. 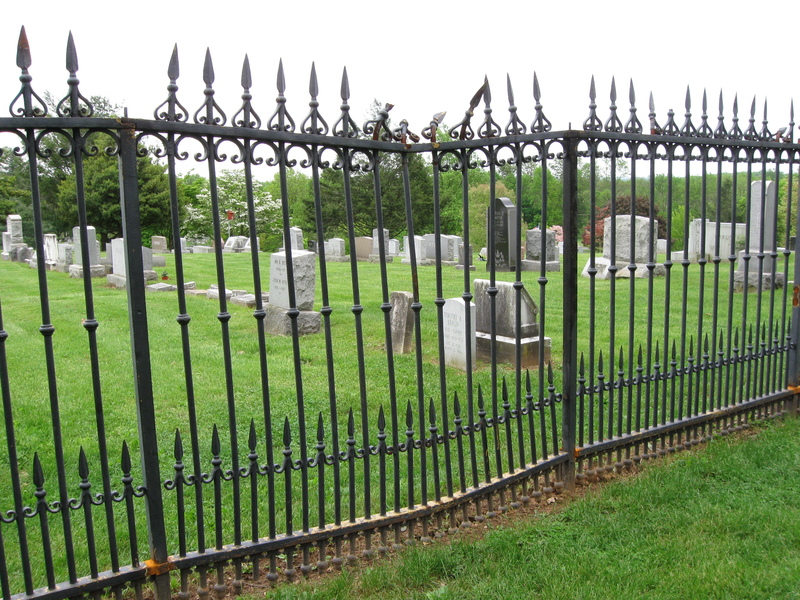 The old gas pipe fence separating the cemeteries was considered too unsightly, and it was eventually removed as part of a Civilian Conservation Corps project. 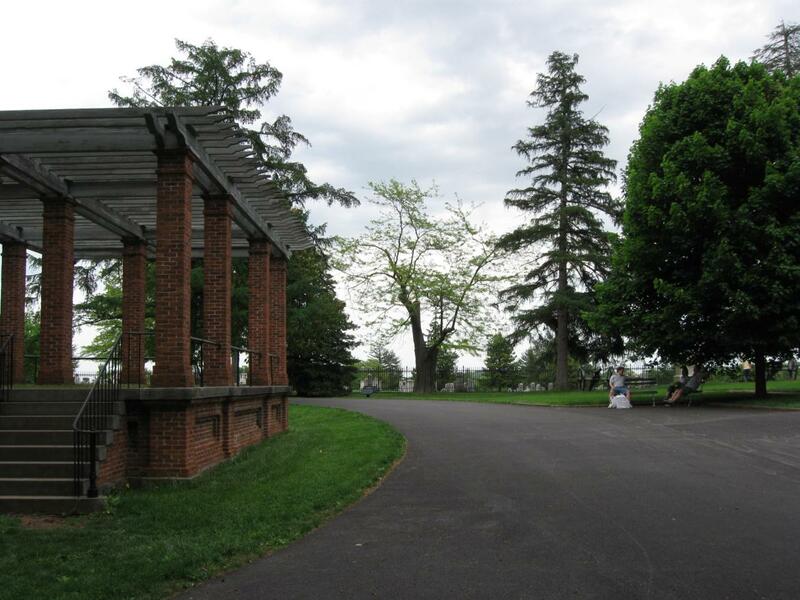 According to the Superintendent’s monthly report of April, 1934, this old East Cemetery Hill/Lafayette Square/Sickles’ fence was taken down by the Park Service on East Cemetery Hill at the end of 1933 and beginning of 1934 and re-erected along the line once occupied by the gas-pipe division fence. In April of 1934 the fencing was cleaned and painted on its relocated site. This view was taken facing east at approximately 4:00 PM on Saturday, May 9, 2009. 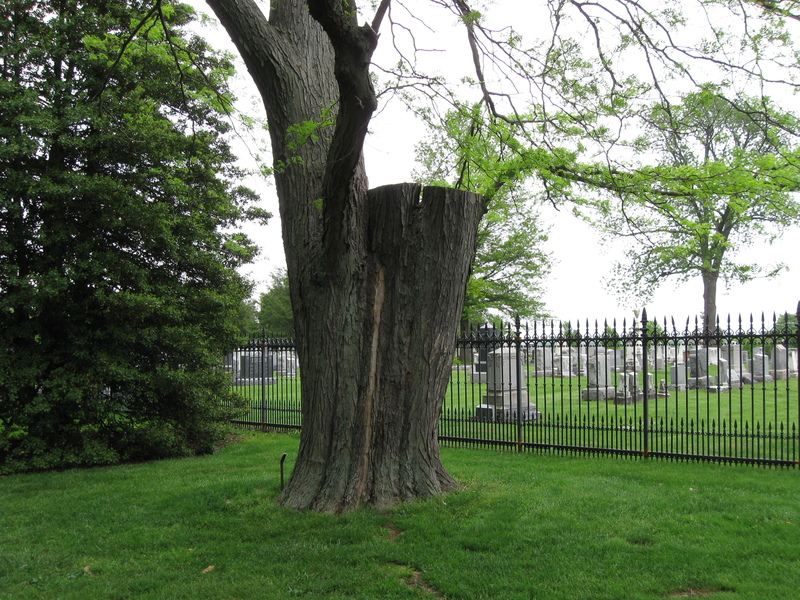 National Park Service Cuts Down Three More Gettysburg Witness Trees on January 19, 2009.